UP Baguio in the mountain province of Benguet is a leading institution in the Northern Philippines in the areas of science, mathematics, social sciences, and the humanities. It is internationally noted for its Cordillera Studies program. UP Cebu is the 8th constituent university and is located in Cebu City, a significant center of commerce and education in the Central Visayas. It offers 9 undergraduate programs under 4 academic clusters with a strong focus on its information technology and business programs. UP Diliman in Quezon City with its sprawling campus provides an eclectic and dynamic learning atmosphere with more than 1,500 faculty and close to 24,000 students. There are 67 undergraduate and 223 graduate degree programs across 26 colleges, centers & institutes, among which are 22 CHED Centers of Excellence. UP Diliman Extension Program in Pampanga located at the Clark Special Economic Zone offers three undergraduate programs with a focus on business and industry, and provides research opportunities on the development of indigenous people in Clark and Subic. UP Los Baños at the foot of Mt. Makiling is the country's recognized leader in agriculture, forestry and environmental management. It has 9 CHED Centers of Excellence: agricultural engineering, agriculture, biology, chemistry, forestry, information technology, mathematics, veterinary medicine, and development communication. 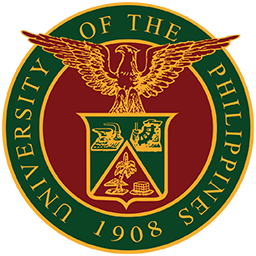 UP Manila in the Ermita District is the premier institution for the health sciences with extension campuses of its School of Health Sciences established in Luzon (Baler, Aurora), Visayas (Palo, Leyte), and Mindanao (Koronadal, South Cotabato). It offers 18 undergraduate programs through its 9 degree-granting units. UP Visayas with beautiful campuses in Iloilo City, Iloilo; Miag-ao, Iloilo; and Tacloban, Leyte, is the acknowledged authority in marine science education and research, fisheries, and aquaculture in the country. UP Mindanao in Davao City has 9 undergraduate programs offered by the College of Humanities and Social Sciences, the College of Science and Mathematics, and the School of Management, providing affordable quality education to diverse, marginalized and deserving sectors in the Southern Philippines. UP Open University is the nation's most comprehensive distance education institution with online degree programs at the baccalaureate, masteral and doctoral levels, plus certificate and diploma programs, and continuing education courses. At the undergraduate level if offers an Associate in Arts degree (AA), pioneering Bachelor's degress in Multimedia Studies (BAMS) and in Education Studies (BES) using online teaching technologies. In line with the guiding spirit of ONE UNIVERSITY ONE UP, and the university's commitment to high standards of academic excellence, these programs require qualification through the UP College Admission Test (UPCAT). UP as the National University also takes affirmative steps in its admission process to enhance the access of disadvantaged students to high quality education. For SY 2019-2020, UP welcomes the first batch of freshmen who will continue to university after the full implementation of Senior High School. UPCAT 2019 will be administered nationwide on September 15-16, 2018. The UPCAT consists of 4 subtests: Language Proficiency (in English and Filipino), and Reading Comprehension (in English and Filipino), Science, and Math. Standardized UPCAT scores are combined with the weighted average of the last 3 years of high school final grades to determine the UP admission grade (UPG). To implement the policy of demographic access, the selection of campus qualifiers also considers socioeconomic and geographic factors. Selection is based on the applicant's choice of campus and rank, plus the campus quota and cut-off grade. Acceptance into a degree program is based on rank per chosen degree program and program quota. If you don't make it to your first choice of program, you will be screened again for your next choice. If you still do not make it to your last indicated course choice, you will remain qualified for that campus but must then find a degree program with available slots (DPWS) in that campus. The Registrar's Office in that campus will help you find that program. If you are a Filipino public high school graduate in the Top Ten of your graduating class, you may apply for freshman automatic admission (i.e. without having to take the UPCAT) for SY 2019-2020, as provided by the Iskolar ng Bayan Law of 2014. The Law also requires that you comply with other admission requirements of the university and enroll in a UP Campus that is in the same region as your high school. Application forms for the Iskolar ng Bayan program may be obtained from the Office of Student Affairs (OSA) or Office of Scholarships and Student Services (OSSS) of the campus you wish to enroll in. Foreign OR Filipino applicants who have graduated or are graduating from a secondary school school abroad (i.e. international applicant) and have not enrolled in college before SY 2019-2020 may be admitted as freshmen by automatic admission (i.e. without taking the UPCAT), provided they meet other admission requirements, including qualifications for college admission by national or international foreign-administered examinations. For details please visit https://upcat.up.edu.ph. Students from other universities may apply for transfer to a UP campus after earning 33 academic units in another school with a weighted average of 2.00 or better on the UP marking system. Information regarding transfer procedures to UP may be obtained from the Office of the University Registrar of the respective UP campuses. Must not have taken the UPCAT before. Before you start your application, please prepare the following documents that you are required to submit together with your application. Refer to this checklist before you submit Form 1. STEP 1. Fill out application Form 1 (UPCAT Application for Freshman Admission) online or manually. Online application will be available by July 10, 2018. The UPCAT Online application should be accessed on a laptop or pc, not on a mobile phone/tablet. Please use legal size (8.5x13) bond paper for printing Forms 1 and 2. Sign up for an account at https://upcatonline.up.edu.ph/signup. Activate your account by clicking the activation link which will be sent to your email. Use your email address and password to log in at https://upcatonline.up.edu.ph to access your application account. Fill out UPCAT Form 1 completely online. Print out the pdf copy of your accomplished Form 1, which will be sent to your email upon completion of Form 1. Print out UPCAT Form 2 which will also be sent to your email with Form 1. Sign in the appropriate boxes provided in Forms 1 and 2 for your signature. Fill out Form 1 completely and sign in the appropriate boxes provided for your signature. STEP 2. Give UPCAT Form 2 (Secondary School Record) to your high school principal/school head to be filled out. Only a duly authorized school official may fill out this form with your high school records. Make sure both you and the school official sign Form 2 and that you get back the accomplished Form 2. STEP 3. FOR NON-FILIPINO APPLICANTS ONLY: Pay the UPCAT Application fee. Different banks have also set their own fees for the purchase of Manager's Checks and Cashier's Checks. STEP 4. Submit the completed UPCAT Forms 1 and 2 and all other required documents. Include a self-addressed return courier pouch (LBC, JRS, etc.) if the Test Permit is to be mailed back to you. Be sure to use your school address. You will be notified by email regarding the status of your application and the details of your Test Permit. You may also monitor the status of your application by logging on to your UPCAT Online Account (https://upcatonline.up.edu.ph). For applications filed thru regional filing centers or by mail, wait for your Test Permit to be mailed to your school. Test Permits for Applications without the self-addressed return courier pouch will NOT be mailed out. They may be picked up from the UP Office of Admissions or from the UPCAT Regional Examiner on the weekend of the exam. The list of examinees with processed applications will also be sent to your school's official e-mail address. If your name is not among the listed examinees for your school, check with the Office of Admissions (9818500 Local 3827, 3828 or 3831), and follow-up with the UPCAT Examiner assigned to the UPCAT Test Center nearest to your high school on the Friday just before the UPCAT. Remember the date, time and place of your UPCAT session. Go to your designated Test Center on the date specified in your Test Permit: SEPTEMBER 15 or 16, 2018. Be there by 6:30am (morning session) or 12nn (afternoon session). Bring only your Test Permit, 2 good quality pencils, sharpener, rubber eraser and snacks. The test administration will last about five hours. The use of cellphones, calculating devices, and/or cameras during the test is strictly prohibited and will be a cause for immediate rejection of application for admission to UP. Check the UP website https://upcat.up.edu.ph for announcements and posting of UPCAT results by March 2019. A list of UP Qualifiers from your school will be sent to your principal. Individual notices will also be sent to all examinees. UP Manila launched a Return Service Program in 2001 for students of its health colleges to sign a contract that requires them to work in the Philippines for a period of not less than 2 years within 5 years after graduation. Under the RSA, graduates are mandated to serve in the country, preferably in accordance with the roles and nature of their respective professions and along the three major functions of the university, but not limited to education/training, research, and direct service. For further information on the RSA, please visit this website http://alumni.upm.edu.ph/?q=node/5 or call the Office of Alumni Relations at 525-3802. A foreign OR Filipino applicant who has graduated or is graduating from a secondary school/home school abroad (i.e. international applicant) and has not enrolled in college may be admitted to the freshman class by automatic admission OR by taking the UPCAT. Filipino students from Philippine high schools in the Middle East may also apply. Filipino or Foreign graduates from accredited high schools/home schools abroad may take the UP College Admission Test (UPCAT) if unable to satisfy the requirements for automatic admission. They must follow the same UPCAT application process with the required supporting documents as all other UPCAT applicants, and pay the non-refundable application fee (US $50 for non-resident foreign applicants). Only correctly filled up application forms with the required supporting documents and the non-refundable application fee will be processed. If the applicant takes the UPCAT but does not qualify, he/she can no longer be admitted under automatic admission. The student has the option to enter UP as a transferee after satisfying transfer requirements. ISKOLAR NG BAYAN ACT. By virtue of RA 10648, applicants who belong to the Top 10 graduates of a public high school AND may be automatically admitted (without taking the UPCAT) to UP under the Iskolar ng Bayan Program if they graduated from public high schools from the region where a UP constituent university is located. The total number of grantees shall be limited to approximately five (5) percent of previous year's freshmen enrollees. Once selected, grantees' tuition and other fees are waived on their first year in UP. SOCIALIZED TUITION SYSTEM (ST System). UP created the ST System to reduce the cost paid by students during enrollment, based on the assessment of the paying capacity of the household to which a student belongs. Using the information submitted by the students, the University may waive a portion or the full cost required during enrollment. To ensure that financially disadvantaged students can also afford living expenses in UP, the ST System waives the full cost of tuition and other fees, and in certain cases, grants monthly stipends (P3,500/month) to students from low-income households. There is no limit to the number of grantees under the ST System. STUDENT AND GRADUATE ASSISTANTSHIPS (SAGA). The UP's SAGA is a program for upperclassmen and graduate students to gain experiences on leadership and ethics in the workplace, in the course of assisting UP in fulfilling its teaching, research, and public service functions. Student Assistants (SAs) are given allowances based on hours rendered: Currently at P60/hour for undergraduate students, P100/hour for MA/MS, and P140/hour for PhD. UP TUITION LOAN PROGRAM. Students may avail of short-term loans through the Student Loan Board. Students must be settled before the end of the semester or trimester. UP PRESIDENTIAL SCHOLARSHIP AND UP PRESIDENTIAL LEADERSHIP GRANT PROGRAMS. These programs are competitive scholarship programs awarded to students with outstanding academic accomplishments and leadership achievements. Undergraduate students with a general weighted average of at least a "1.75" and "2.75" are eligible to apply for the scholarships, respectively. The total number of scholars is limited to the number of slots that are vacant every academic year. Since 1991, the UP Oblation Scholarship has been awarded to the top fifty UPCAT students. The benefits include free tuition, miscellaneous and laboratory fees, and a monthly incentive. Recipients may enjoy the UP Oblation Scholarship throughout the normal length of time required to finish their chosen degree program, provided they maintain the required grade point average. The INTARMED (Integrated Arts-Medicine) Program is a 7-year curriculum that allows high school graduates to directly enter the UP College of Medicine. INTARMED scholars are chosen from the UPCAT top 50 males and top 50 females to participate in this accelerated medical program. Other scholarships, study grants and awards donated by government and private companies or individuals, are also available. For inquiries, please email the UP System Office of Student Financial Assistance at [email protected], or check the websites of the Office of Student Affairs/Office of Scholarships and Student Services of the different UP campus units (e.g. http://ovcsa.upd.edu.ph/osa.htm; https://uplbosa.org). For UP Diliman, you may go directly to the OFFICE OF SCHOLARSHIPS AND STUDENT SERVICES (OSSS), Vinzon's Hall, UP Diliman, QC, or check http://ovcsa.upd.edu.ph/osss.htm. b UPCAT qualifiers must also pass a Talent Test. c Minor in Philosophy, Political Science, or Psychology. d Covered by UP Manila Health Colleges Return Service Agreement. e Passing the National Veterinary Admission Test (NVAT) is a requisite for admission to the Four-Year Professional Veterinary Medicine Curriculum. f To be taken online. Note: Unless otherwise indicated in parenthesis, an undergraduate program is ordinarily completed after four years. Please note also that some undergraduate programs (e.g. Business, Engineering, Music and Physics) in UP Diliman, and Engineering programs in UP Los Banos are undergoing curricular revisions with a possibility of a reduction in program length for SY 2019. Additional Test Centers may be opened as necessary. Prospective applicants will be notified accordingly. Please visit the UPCAT website for updates.